Molded headliners that should match the factory headliner. You specify the material and the color and we make the headliner. 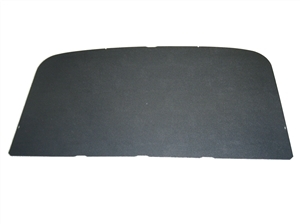 Replacement headliner for the original board based headliners with a lifetime guarantee. The ABS headliners are made of high quality plastic guaranteed to never warp or crack like the originals. They can be precovered or sent uncovered.